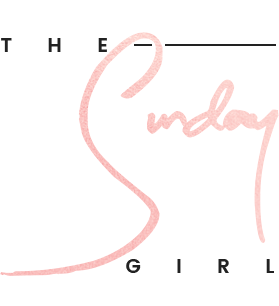 This isn't a "oh *insert expletive here* I've slept in" guide to beauty but rather a rummage through all my favourite quick fix products. Be you lazy (yes that's me) or simply pushed for time I'm sure you'll find a little gem or two nestled among the following products. First up the shower - a place I'm often looking to cut corners because I am forever running late and my number one saviour is shower oils. 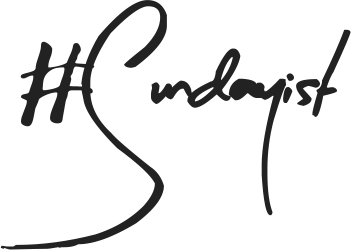 I use either L'Occitane Almond Shower Oil or the Sanctuary's 2 Day Moisture Shower Oil depending on my financial situation at the time as the two are opposite ends of spectrum in price. At the moment I am running low on both but will admit that I prefer the Almond version purely for the fragrance. If you are looking to cleanse and lock in extra moisture this is the way forward, you can also make your own shower oil by using pure coconut oil. Moisture and cleanliness in one quick step...BOOM! 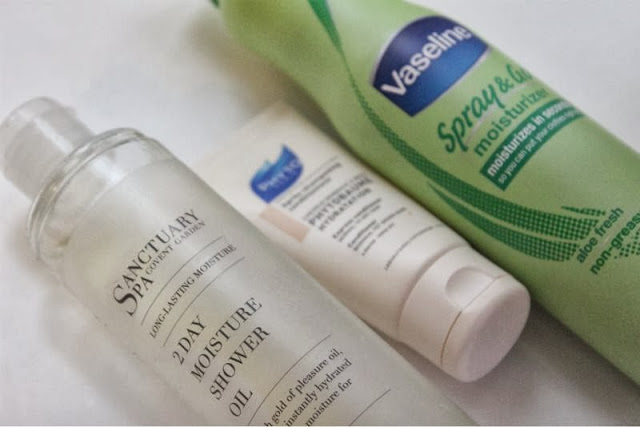 Speaking of moisture if a quick fix is what you are after you could also try Nivea's In Shower Body Moisturiser or Vaseline's Spray and Go Moisturiser. Both are quick and easy not to mention cheap and cheerful ways to keep dry skin at bay which may be more needed now that we are into the Autumn months. If your hair is dry like mine then a great quick but deep conditioner is Phyto's Express Conditioner that goes to work quickly, nourishing and repairing the hair. I liken it to Aussie's 3 Minute Miracle but without the wait around time. My make-up cheat sheet so to speak is Covergirl's 3-in-1 Outlast Stay Fabulous Foundation (Max Factor All Day Flawless 3 in1 Foundation in the UK, thanks to all who let me know) is your secret weapon - it covers like a dream, primes and protects and wears really well even on oily skin without a primer! Speaking of primers if you require a little colour correcting as well as blurring pores, fine line and prolonging make-up wear you simply must try out the new Clinique Superprimers. My current go to mascara has to be Kardashian Beauty Whip Lash Mascara - it lengthens, adds volume, separates the lashes as well as curling sparing up time spent with a lash comb and curlers. 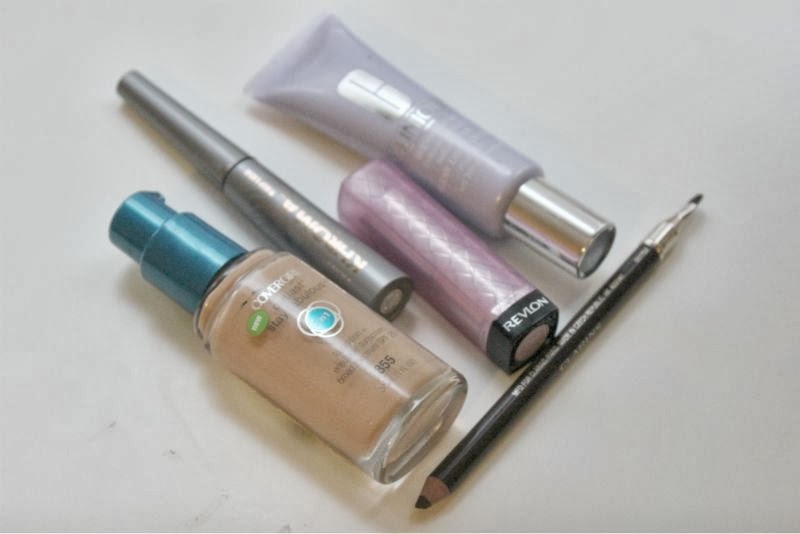 While we are on the topic of eyes my top time savers are MAC Paint Pots for a quick wash of long lasting colour over the lid and Clarins Crayon Khols which can be used as a cream eyeshadow (they have a nifty brush at one end to blend out) or a long lasting liner. In the words of Charlie Sheen "winning"! For lips I have a firm favourite of many a beauty lover, yes the one and only Revlon's Lip Butters. Glossy nourishing colour that wears rather well, what more could I gal ask for? The last bits and bobs I recommend are some what varied but they can help you cut a few corners. First up we have Sienna X Express Tanning Mist, this quick tanning mist not only offers instant flawless colour that is natural but later develops into a slight deeper tone that wears for up to four days. Chipped nails but can't be bothered to remove the polish and start all over again? A glitter top coat is your new BFF, a quick coat of the likes of Barry M Confetti nail paint will hide a few nail sins until you can be bothered to remedy the situation. Who said being lazy was a bad thing? I am the laziest person ever ha, i just bought the vaseline spray & go really like it. The nivea in shower moisturiser i wasnt overly impressed with for me as it didn't seem to do anything. Sienna is a tan i've not actually tried despite hearing about it lots, this sounds nice! I really need to buy the spray moisturizer! I am lazy, so it sounds perfect! Revlon lip butters are a must! And I have written a full review on the spray and go moisturiser on my blog! 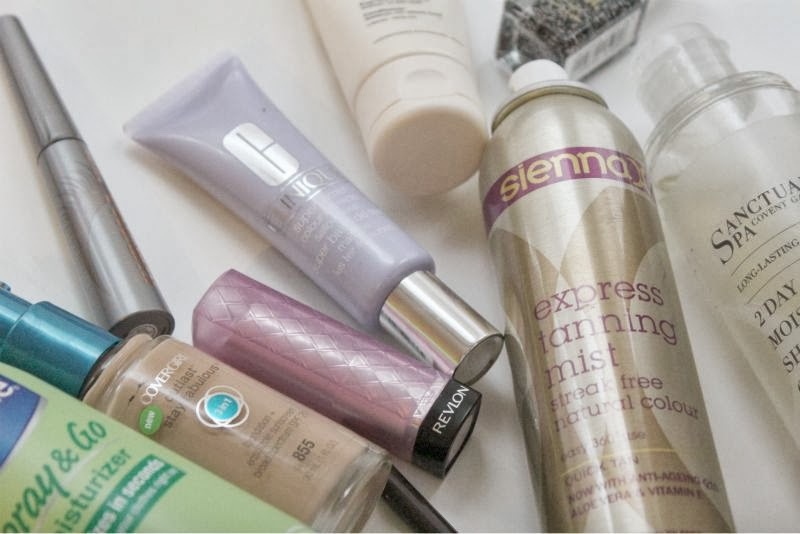 I really want to try the Sienna X tan!